In preparation for my first trip to Argentina, I was a little nervous to say the least! It has been years since I’ve done much wing shooting and even though I spent a good amount of time at the range shooting AA TrAAcker prior to the trip, I was still worried that my shooting would not be at the level it needed to be. All through high school I shot ducks, geese, and pheasants, but I wasn’t sure how naturally it would come back since I hadn’t done much of it in recent years. For this trip I was hunting with a couple of my good friends from Field & Stream Shops- Shian-Li McGuire and Justin Long who were equally excited for the adventure. We were hunting with Paco Riestra and all flew into Cordoba, then continued on to a 4-hour drive to the lodge where we’d be hunting. This was an area called La Pelegrina. The lodge was beautiful, and the food was absolutely incredible. 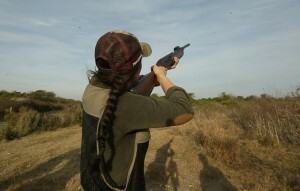 Our first and last day were dedicated to shooting doves. A big part of this trip was going to be the opportunity to hunt a mixed bag that would include doves, ducks, pigeons, and perdiz. 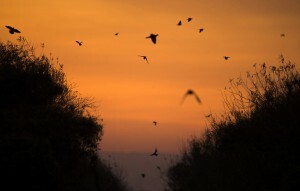 Since doves are what most people expect when they come to Argentina, we decided to begin with that. All the photos, videos and reading I had done prior couldn’t prepare me for what we were we saw. When I say the skies were absolutely full of doves, this is no understatement. The hardest part was picking out which dove you were going to shoot at – it was easy to become completely mesmerized. 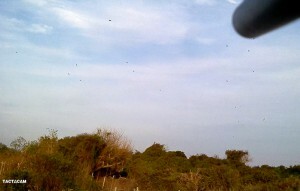 We setup over an area where they roost and they honestly never quit flying. You could literally shoot non-stop all day if you wanted. 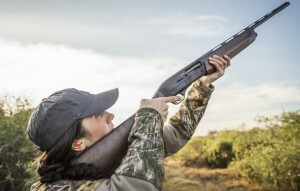 We decided to all use Winchester SX3 shotguns in 20-gauge as I knew we would be doing a ton of shooting. 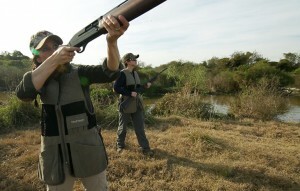 For the doves we were going to be using AA TrAAcker and for the ducks we would be using Winchester Blind Side. In the beginning, our shooting was a tad rusty. The doves were flying fast and it took a little getting used to, but it wasn’t long and we were all doing great. By that afternoon I felt extremely confident in my shooting and we all had a blast. It was so much fun as it was a social hunt, where you could stop and start, plus really enjoy the company of your hunting partners. All I could wish the entire time was that I would have brought my parents! They love dove hunting and get somewhere between 60-70 a year, but they could do that in an hour here! The best part of all is each day when we finished hunting not only did we get to eat what we shot that day, but we were also able to share the game with local families which was also very rewarding.